GNOME's weather app has been redesigned for 3.14. The new version makes use of GNOME's new geolocation framework to automatically show the weather for your current location, and a new layout provides an effective way to read weather forecasts. Together, this makes for a quicker and more convenient way to check the weather. GNOME 3.14 comes with improved support for Wi-Fi hotspots. When connecting to a Wi-Fi portal that requires authentication, GNOME will now automatically show the login page as a part of the connection process. This ensures that you always know when you are connected, and helps you to get set up as quickly as possible. Photos has gained access to major new online sources of pictures in 3.14, with the addition of Google and media server support. This means that you can easily view Google photos that have been uploaded through Picasa, Google+, or Android devices. Media server accounts provide access to home media servers, via DLNA. Both of these online sources can be added using Online Accounts. Multitouch gestures can now be used on touchscreens for system navigation, as well as in applications. Gestures can be used to open the Activities Overview, applications view, and Message Tray. You can also use them to switch applications and workspaces. See the gestures page for a summary of these system-wide gestures. Several applications make use of gestures in GNOME 3.14: in Evince, documents can be zoomed and swiped with gestures, and Eye of GNOME allows you to zoom, rotate and pan. More applications are expected to start introducing these touchscreen gestures in the future. Personal File Sharing (WebDAV), Media Sharing (DLNA) and Screen Sharing (VNC) will now remember which network you want them to be active on, and Settings provides the ability to control which networks to share on. This provides an important privacy function, and prevents sharing content and services in public places (such as your local internet cafe). 3.14 includes a redesigned Evince. 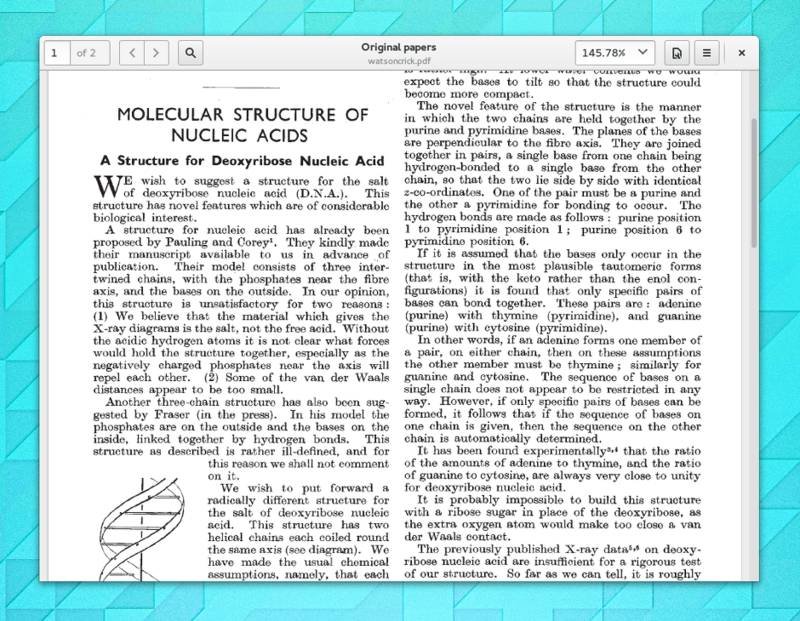 The new version of the document viewer uses a header bar to give more space to your documents. When it is launched without a document being specified, Evince will also show a useful overview of your recent documents. The latest Evince version also includes high-resolution display support and enhanced accessibility, with links, images and form fields all being available from assistive technologies. GNOME's software is Free Software: all our code is available for download and can be freely modified and redistributed. To install it, we recommend that you wait for the official packages provided by your vendor or distribution. 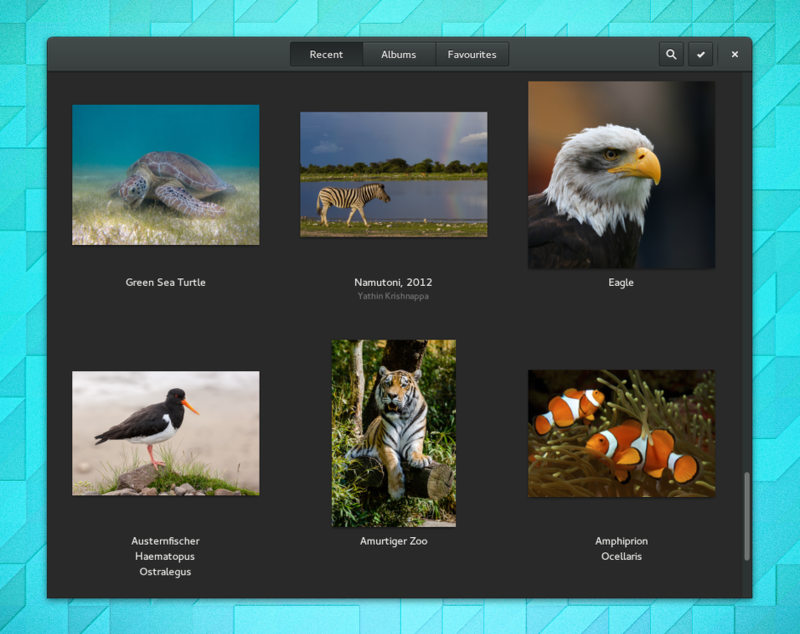 Popular distributions will make GNOME 3.14 available very soon, and some already have development versions that include the new GNOME release.